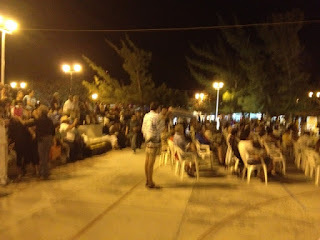 Puerto Morelos Blog: 2012 Puerto Morelos Music Festival is underway! 2012 Puerto Morelos Music Festival is underway! Good sized crowd for the opening act, El Tambor de Yeikob. Must Sell! Oceanfront Condos Must Go! I & I have taken the stage! We're Live Blogging! Come Visit Us! Tonight! Puerto Morelos Music Festival!! Wine & Books! January 27th!! Puerto Morelos Music Festival 2012! Fun Puerto Morelos Wedding Photos! Pangea Restaurant has Live Music All Weekend! Puerto Morelos Tire Repair Service Kudos! Attention Photogs! Awesome Photography Course! !